Mike Petrik concentrates his practice on sophisticated, multistate tax planning and disputes for businesses, including income tax, franchise tax, sales/use tax and other state and local taxes. 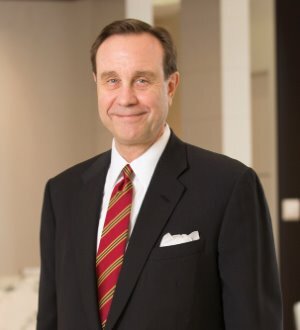 He maintains a national administrative tax dispute and negotiation practice, including audit appeals, the negotiation of special filing or apportionment methods and voluntary disclosure “amnesty” applications. Mr. Petrik also has extensive experience in developing and implementing new corporate structures designed to achieve multistate tax efficiencies. Mr. Petrik is a frequent lecturer before professional groups and has authored or contributed articles appearing in various national tax journals. He is a member of the editorial advisory boards of several tax publications and has also been the Georgia correspondent forState Tax Notes. He also serves on the Board of Governors of the Georgia Chamber of Commerce, where he chairs the Tax & Finance Policy Committee. Mr. Petrik is listed in Georgia Trend’s "Legal Elite," The Best Lawyers in America, Chambers USA: America's Leading Lawyers for Business and Super Lawyers magazine. Prior to teaching a course on state and local taxation at Georgia State University, he was an instructor at the Atlanta Law School, where he taught courses on constitutional law.